BREA, CALIF., Jan. 6, 2014 – Chevron U.S.A. Inc. and DonorsChoose.org today announced that the 2013 Fuel Your School program generated $1 million in Orange County, benefitting 1,051 local public school classroom projects, including nearly 600 resources to help support science, technology, engineering and math (STEM) curriculum, and impacting 124,262 students. 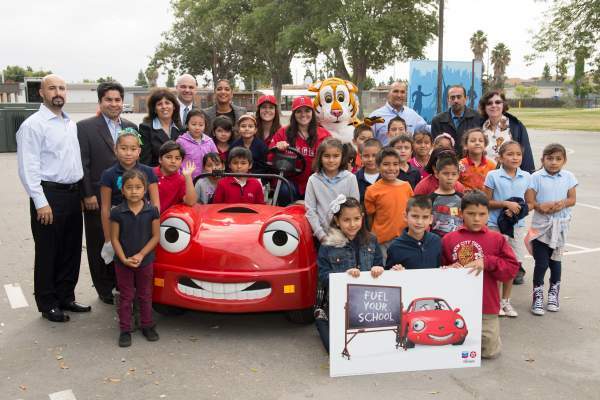 Through Chevron’s Fuel Your School program, teachers at more than 300 Orange County public schools received valuable classroom resources. Through the program, students at the Taft Elementary School in Orange received legos and building books. These materials will enrich the curriculum and allow students to use their own creativity to become excited to learn. 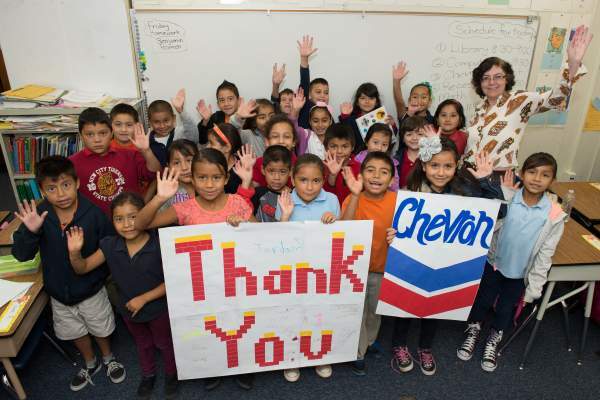 Through the Fuel Your School program, Chevron contributed $1 when consumers purchased eight or more gallons of fuel during the month of October at participating Chevron and Texaco stations in Orange County, generating $1 million, to help fund eligible classroom projects at local public schools. Editor’s Note: An infographic showing the impact of the 2013 Fuel Your School program and top most requested STEM resources for classrooms is available at http://www.fuelyourschool.com/docs/Chevron_FYS_Nat.pdf. Portions of projects may have been funded through third-party donations since anyone can also independently fund classroom projects on the DonorsChoose.org website by making separate, individual donations.